Geothermal energy is generated from heat in the Earth, such as geothermal hot water springs at the surface of the Earth or just below it and the molten heat layers of magma hundreds of feet deep. Geothermal power is a clean and sustainable resource. It can be used to heat buildings and to power hot water heaters via geothermal heat pumps and ductwork. Geothermal power plants tap into reservoirs of hot water, manmade or natural, in the Earth to use steam powered turbines which generate energy or heat a fluid that, when vaporized, turns an energy producing turbine. Low emission wood or biomass energy. As a renewable resource that is sustainable and dependable, wood fuel (also known as a biomass energy source) has more advantages than fossil fuels. It emits 90% less carbon dioxide than fossil fuels and scant sulfur and heavy metals; wood fuel does not contribute to acid rain pollution and the particle emissions can be controlled. Increasingly state governments and home owners are looking to biomass energy as an affordable future energy source provided that wood fuel can be sourced within 50 miles. The main down sides to using wood fuels are the start-up costs for implementing this energy system and the upkeep (removal of ash waste, etc). One study points out that it is 90% cheaper in Wisconsin to heat a home with wood pellets than it is to heat it with electricity so the lower cost and efficiency of biomass energy must be weighed against the initial installation costs and upkeep. Wind energy. Sails, windmills, wind pumps and wind turbines all harness energy from the wind which, of course, is a renewable and clean energy source. Wind is the energy source that has the greatest capacity in terms of accommodating human energy use and wind farm construction continues to increase worldwide at a rate of 27% a year with China leading the way with more than half of the world’s new wind installations. The most common extraction of this kind of energy is through wind farms consisting of many wind turbines designed to generate electricity. 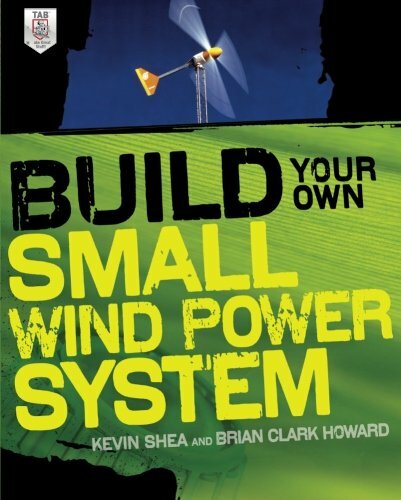 Wind farms can be located off shore (for greater wind capacity) or on agricultural land where crops can be grown all the way up to the base of the turbine. Since wind is virtually an inexhaustible resource (although sometimes inconsistent), this is one instance in which the energy source far outstrips the capacity for humans to use it. Photovoltaic energy is another term for solar cell energy. Solar cells extract energy from sunlight. This is the form of energy that can be found in watches and batteries (for example) as well as home electricity systems and communication grids. It is a clean energy source as it requires no bulky mechanisms to operate, the photovoltaic arrays (that house the solar cells) come in all sizes and can be installed quickly and it generates no waste by-products. For the sake of brevity, I omitted other alternative energy systems although they, like the ones listed above, are clean, renewable and sustainable forms of energy. While some of these may seem new now, as the world looks to wean itself from fossil fuels, we will hear more about and use alternative energy systems. This is really interesting and a great summary of possibilities for more clean energy to come our way. Thank you! It's about time we start conserving nature's resources. Great article! I wish the people in Washington would read it! Personally, I love the wind farms. Thanks for sharing. Great to see someone putting thought into alternative energy. However, I worked for an electrical distribution company for 10 years and I'm sad to say that the technology behind the renewable methods is still in its early stages and a long way off replacing Nuclear/Fossil fuel power generation. I do believe that the renewable methods have the potential to one day cater for world energy needs, the sooner that day comes the better for us all! Alternative methods? Great.. Till the day that all these are available for everyone we just have to preserve the resources we have..
Good summary. Solar thermal is also another source that is commonly used in some parts. Thanks for sharing. I learned something new. Nice overview of the primary sources of renewable energy. I work in this industry assisting with the siting and licencing for wind and solar developments. Interesting note to consider, wind was resource will the most interest a few years ago, but recently the trend has been focusing on the solar potential as more details come out about the use of PV and cost of manufacturing goes does. Solar panels are gaining in popularity as they are easy to install on residential rooftops, serve dual purposes as a RE and carport in parking lots, can be mounted on the rooftops of city skyscrapers, and used to harness the sun's energy in various desert locations. Thanks for sharing! Nice Article. I did not know that wood was better for the enviorment. I do not think it will catch on as a source of energy to use on a large scale, but it still was a great thing, that I did not know about.